I know what you’re thinking. “Did he photoshop Clint Eastwood into ten movies or only nine?” Well, to tell you the truth, in all this excitement I kind of lost track myself. But being as this is Clint Eastwood, one of the most powerful badasses in the whole world, and whose photoshops could make you laugh your head clean off, you’ve got to ask yourself one question. “Do I feel lucky?” Well, do ya, punk? Go ahead. 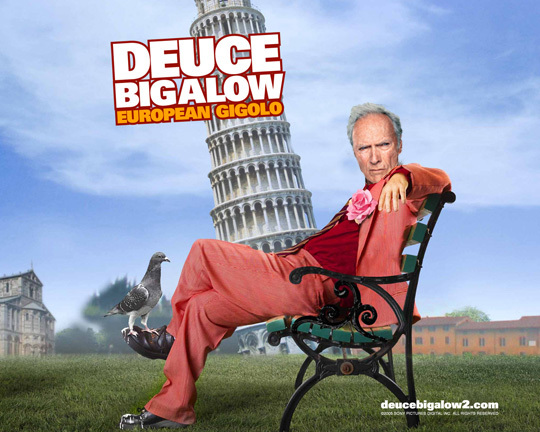 Make your day by checking out these movies made better with Clint Eastwood. Love it. There is one Eastwood movie that was elevated from dreary sappiness to a decent flick because of his presence, and that was The Bridges of Madison County. A lowbrow romance novel was made into so much more thanks to Mr. Eastwood’s deft touch as a director and wonderful acting by himself and Meryl Streep. The soundtrack was perfect. 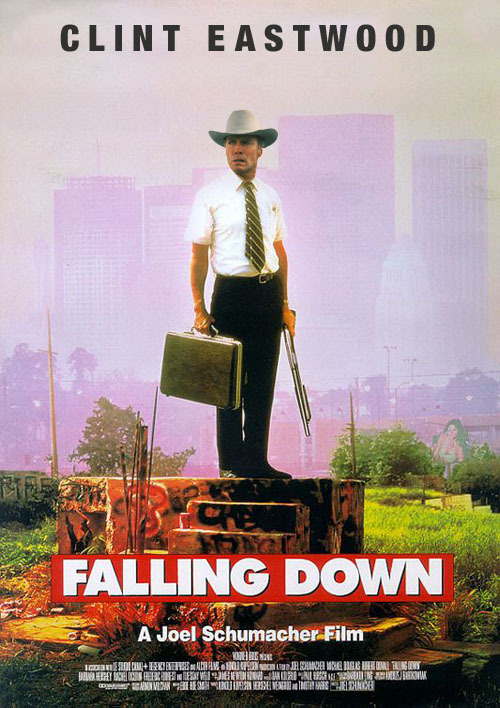 You’re right about Falling Down, Eastwood would have elevated it. Fun post! Your Project X poster made me laugh out loud. Ha… I wish it was real. hahahhaha i hope these are original b/c that’s an idea that needs deserves to be a meme. i still hate that word but i used it nonetheless. Thanks! Definitely original, although I did find out- while doing these- that there are a lot more out there that other people have done. Someone made one for Up that’s spectacular. 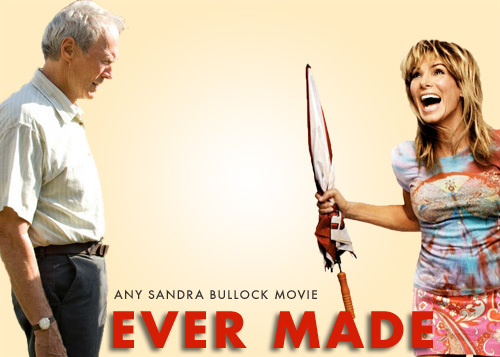 Clint would have improved all Adam Sandler films. 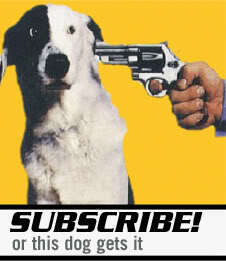 As long as he brought along his .44 Magnum. Poor Adam Sandler. It went so wrong for him. Not all of them would be better I think, especially Falling Down and Dumb and Dumber. “To hell with them fellas. Buzzards gotta eat same as worms.” Greatest Eastwood line ever. 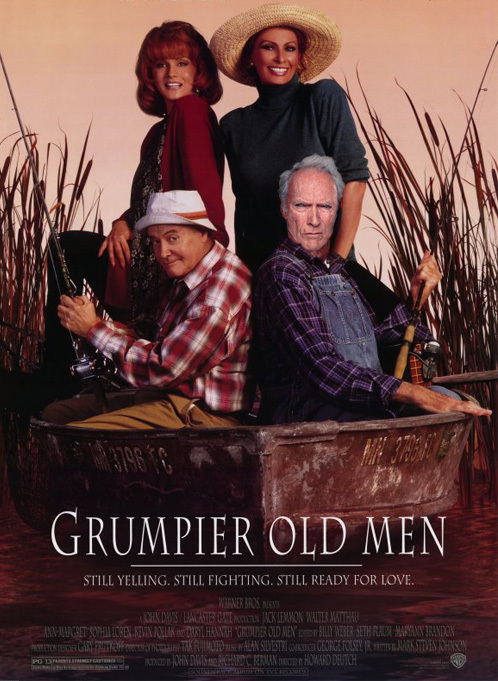 I’ll grant you Grumpier Old Men. Doubt Clint would even have deigned to look at any of the others…. 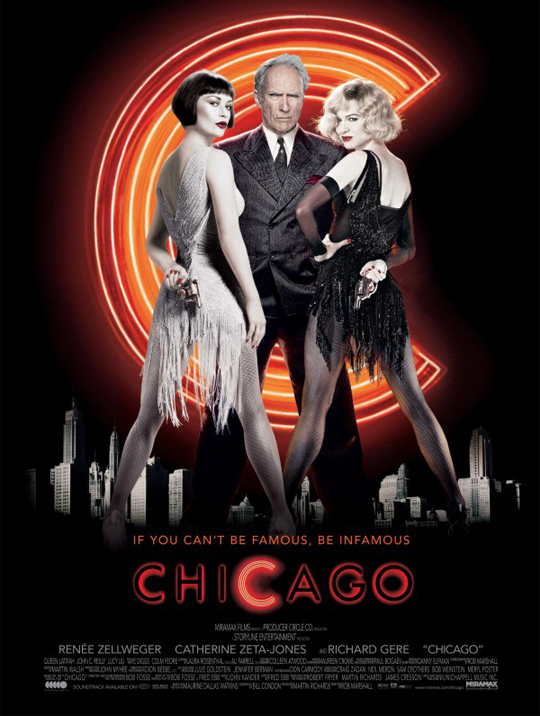 except Chicago, and Richard Gere rocked in that! 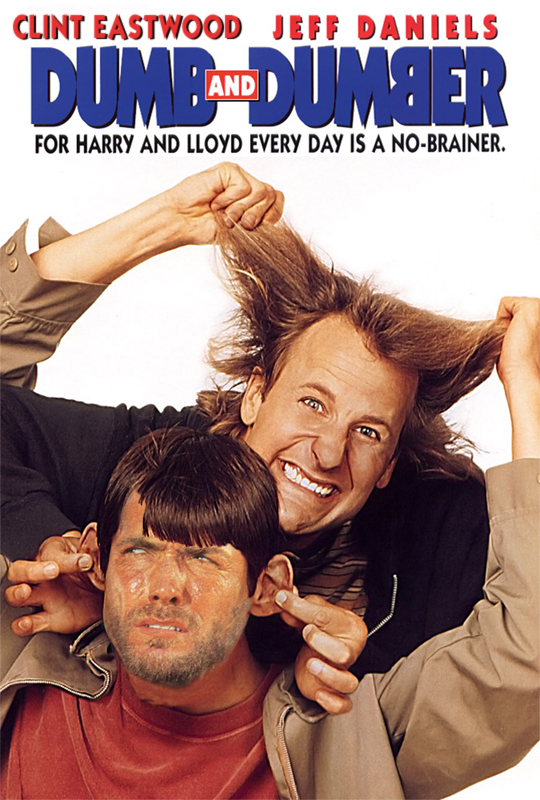 Oh man, that Dumb & Dumber one kills me. It’s probably my favorite, just because of the expression on his face. If Jeff Daniels ever pulled Eastwood’s ears, that is exactly the expression I’d expect him to have. I just watched Eastwood in A FISTFUL OF DOLLARS last night, and I’ll be seeing FOR A FEW DOLLARS MORE later in the week as part of my classic western catch-up. Those Eastwood spaghetti westerns are phenomenal, some of my favorites ever made. I’d love to say that The Good, the Bad, and the Ugly is my favorite of the Man with No Name trilogy, but it’d almost be a disservice to how fun the other two are. Speaking of those two movies- Fistful of Dollars and For a Few Dollars More- they’re showing as a double feature here in a few weeks. I can’t wait to check that out on the big screen. Thanks for posting that to Reddit, Scott! Much obliged. That Project X photo is my favorite 🙂 LMAO, Might have to make that my new wallpaper. Absolutely awesome and hysterical. Enough said. Brilliant John!! 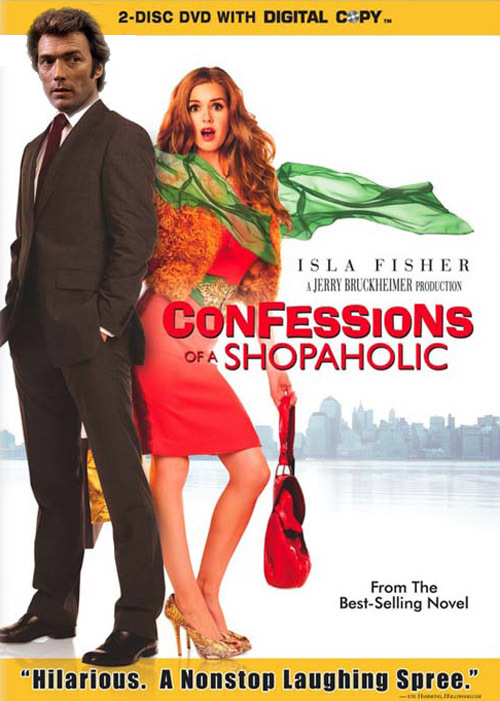 I definitely would watch Confession of a Shopaholic if Clint is in it, preferably helping the girl trying out new stuff, ahah. Hahahaha, everyone already said it but I’ll say it again, that Project X one is great. Though, Confessions was a surprise seeing young Clint. Well done! Wow – you totally outdid yourself here, John. I hope you submit all of these to Jason, and congrats right now on your win. 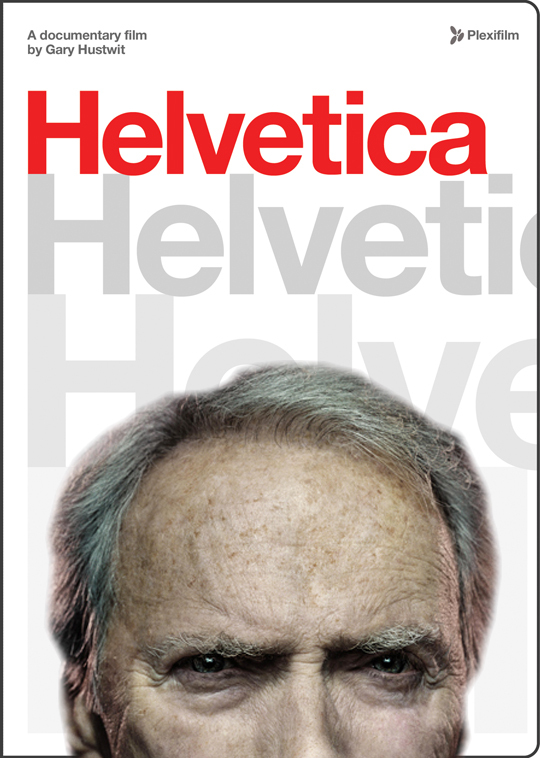 Dumb and Dumber is great, and I dig Falling Down and several others as well, but Helvetica takes the cake for me. So absurd and out of context as to be brilliant. I would love to hear Eastwood’s gravelly voice narrating a movie about a font.